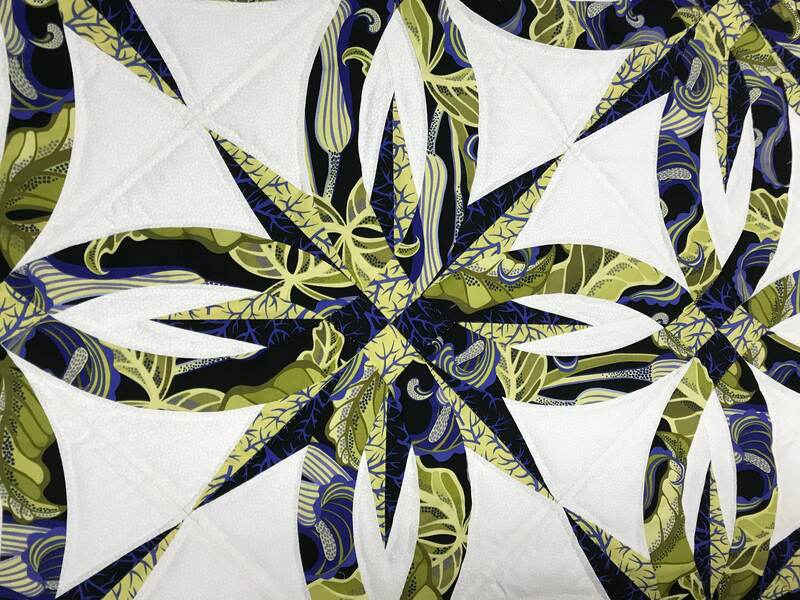 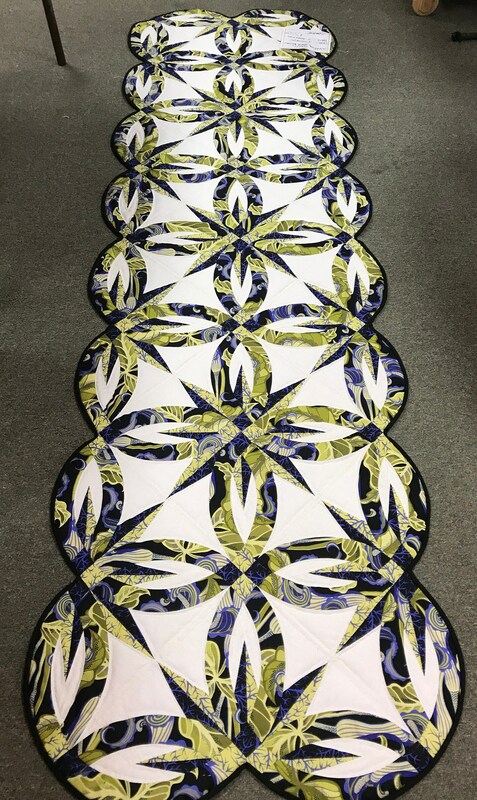 This gorgeous hand Quilted Wedding Star Bed Runner would be a beautiful and luxurious touch to your bedding ensemble. 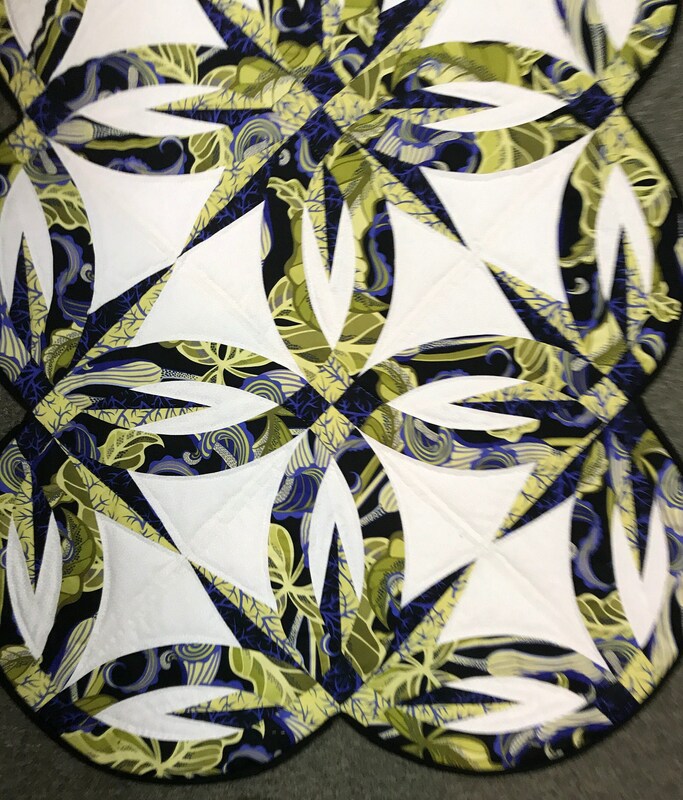 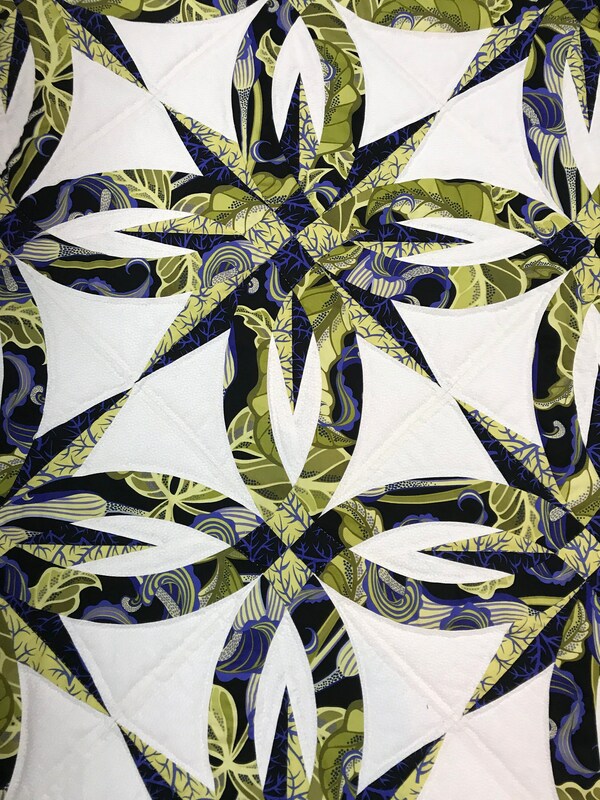 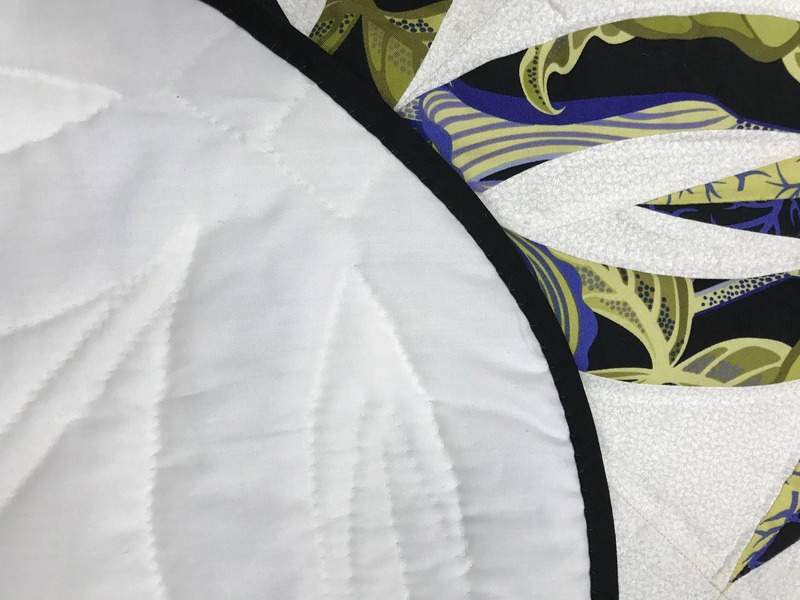 Hand Quilted with beautiful green and purple colors this Wedding Star design would add lovely designer touch to your bedroom. 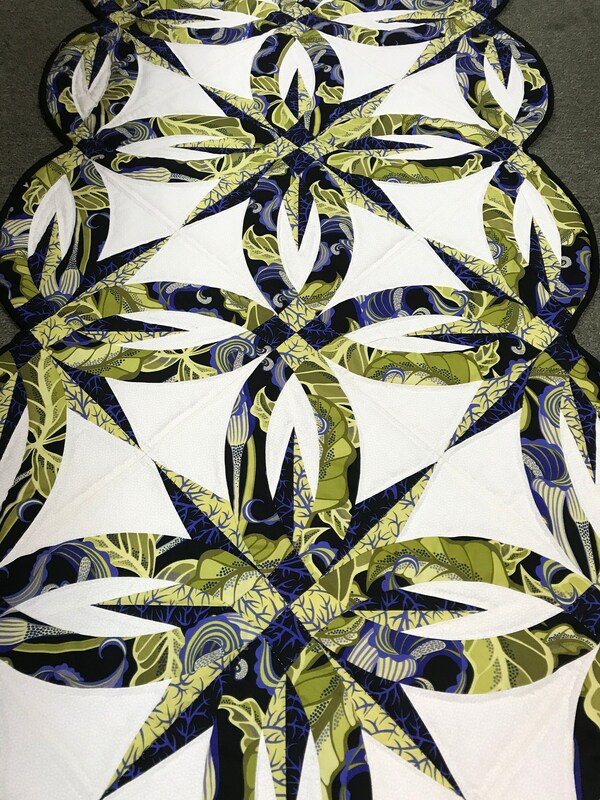 Would fit nicely on a Queen or a King.